Many period houses have alcoves on either side of the chimney breast, and they’re also a common feature in modern homes, where renovations and extensions can create unusual nooks. Bespoke built-in storage is a great way to make the most of these often-overlooked corners, and there are all sorts of options for stylish and functional alcove shelving and cupboards which can make a huge difference to the way you use your living space. If you want to make the most of the alcoves in your home, here are a few things to consider, together with examples from some of the projects we have undertaken in Bristol and the surrounding area. One of the first things to think about is what kind of look you want. Many people opt for low cupboards with shelving above, but there are lots of alternatives if you fancy something a little more unusual, including contemporary cube-style designs and full-length alcove bookcases. You might want to reflect the style of a period property with classic panelled doors and moulded detail, or you might prefer a sleek and minimal look – perhaps with push-to-open door mechanisms that avoid the need for handles. Also have a think about whether you want backings, or whether you would prefer floating shelves which show the wall behind. There are benefits to both options: backings are a great idea if you’d like to hide wonky walls, and they help to strengthen the shelving – handy if you want to use it for storing lots of heavy books. Floating shelves, on the other hand, can make your space look larger and so work well in smaller rooms. 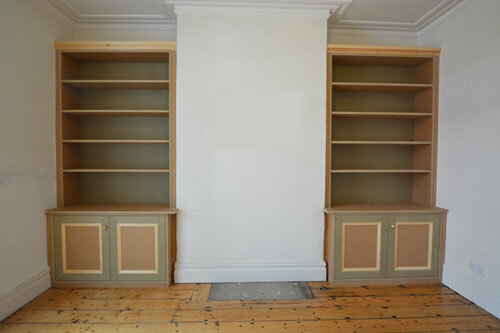 These alcove cabinets use classic panelled doors, with backing for additional strength. The style fits seamlessly into the period property. This contemporary design pairs cupboards with floating shelves. and handle-less push-mechanism doors keep the look sleek and minimal. Next, it’s time to consider practicalities. Most alcove cupboards are built to a height of 80cm – the standard size of sideboards – but you might want something lower if you plan to put a TV on top. The depth of the cupboards and shelves is another consideration. They’re often built flush to the front of the alcove to minimise their visual impact, but you can maximise storage space by having them come out a little further into the room (corner edges can be rounded to make them child-friendly). 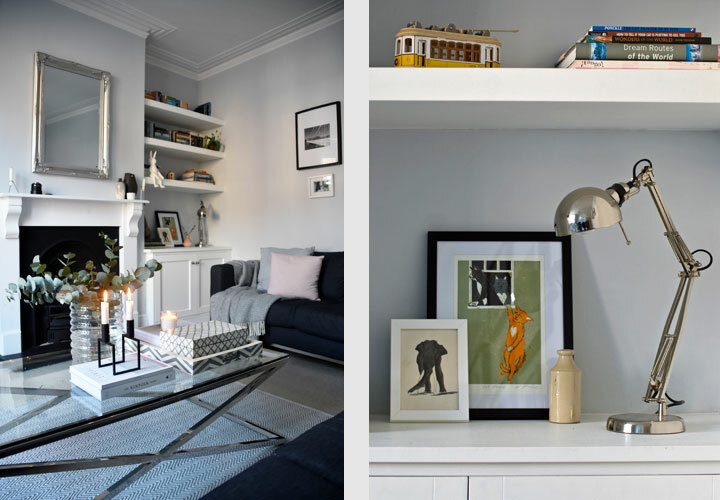 Just bear in mind that it’s best not to have the design protruding beyond any mantelpiece or fire surround, or the space may end up looking unbalanced. Once you have decided the basic design of your alcove storage, you can think about additional details. You can add all sorts of clever features, including open shelves for DVD players and set-top boxes, as well as cable-management tricks to hide wires and leads from view. If you’re using shelves to display books or treasured items, you might even want to consider integrated LED lighting to illuminate them. 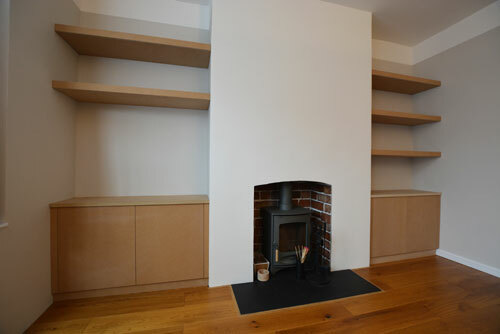 In this Victorian home, we installed bespoke alcove storage in the living room. The panelled cupboard doors suit the period style of the property, but floating shelves add a contemporary element. Cable sleeves and covers can be built into alcove furniture to hide wires from lamps, TVs and other electrical items, ensuring your room stays neat and tidy. There are numerous options when it comes to painting your alcove units, too. Most people opt for classic white, but you can also use the same shade as the wall – an on-trend look which can make your room look bigger. You could even choose a contrasting colour for a striking and highly contemporary look.